Wang Fei (LLM ’03), vice president of the Shanghai Putuo District Court, recently completed the complete translation of Cases and Problems on Contracts (6th) by Calamari, Perillo, Bender and Brown. This book is widely used in U.S. law schools and has taught generations of law school students the elements of contracts law. Now, the book is available in Chinese. The book is published by one of China’s top publishers, the Shanghai People’s Publishing House, which year after year has been one the most influential legal publishers in the country. The two-volume translation will be made available to government agencies, courts, law firms, law schools, and students nationwide. Judge Wang began translating the book in earnest in 2008, working on a portion of the text each day for 10 years. He reports his translation of the cases has helped him understand how U.S. judges think and reason. In expanding his own horizons through this effort, he hopes the translated text will also help Chinese legal professionals in their own path to globalization. He reports that Jacob & Youngs, Inc. v. Kent, 129 N.E. 889 (1921) was particularly useful to his own work. In this case, a homebuilder used pipe that was a different brand, but similar quality, from what was specified in the contract. The homeowner sued, wanting the pipes replaced with the contracted brand. In the decision, Judge Cardozo said that the contract was substantially performed and that the cost of replacing the pipe would have been out of proportion from the damages. As a result, the homebuilder need only pay the difference in value of the pipes. 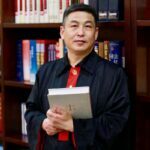 Wang said that the decision expertly showed how to maneuver between the literal language of the contract and its practical application, a reasoning that influences Wang’s own judicial work today. A second case, Transatlantic Financing Corporation v. United States, 363 F.2d 312 (1966), is essential reading for Chinese law professionals as China implements its “Belt and Road Initiative” development strategy at home and abroad. In this case, a shipping company delivered wheat from the U.S. to Iran. The ship should have gone through the Suez Canal, but civil war in Egypt blocked the canal, and the shipment had to go around Africa instead. The plaintiff sued to cover the additional costs of shipment, saying performance was commercially impracticable. The court disagreed, saying that legal impossibility occurs only when performance must be done at excessive and unreasonable cost. In this case, the court reasoned that the plaintiff did not occur many additional costs, and thus was not entitled to relief. Wang said that as China is now engaged in many infrastructure projects, particularly in neighboring “Belt and Road Initiative” countries, this case sets forth the importance of understanding impossibility, impracticability, and commercial customs for transactions in a particular region. At the press conference, authorities from the Shanghai High People’s Court, top law schools (Fudan University, Shanghai Jiaotong University, and East China University of Politics & Law), and Shanghai Lawyers Association praised the work. John Smagula, Director/Associate Professor of Temple law school’s China Rule-of-Law Program, also commended Judge Wang’s work to the guests and media in attendance. Temple University Executive Vice President and Provost JoAnne A. Epps, who taught trial advocacy to Judge Wang, expressed her highest praise for his work. Law School Dean Gregory N. Mandel also sent his congratulations, remarking that Judge Wang is an example for many of our other alumni to follow. Professor Mo Zhang, who teaches contracts, also praised Judge Wang’s publications and perseverance. Judge Wang comments that the publication of this translation has set him up nicely for his next project. He has already begun translating Contracts, 7th (Hornbook Series).